You know that feeling when you leave work or a shop or wherever and you just can’t remember where you parked? Here is the Danish example. Which one is my bike? It is not quite Amsterdam, but bikes are most certainly a huge thing here. All the roads consist of lanes for cars, then a slightly more elevated lane for bikes, then a slightly more elevated sidewalk for pedestrians. I have almost broken my ankle several times on these little edges! I can assure you that bicycles also outrank pedestrians in terms of importance here. If there is not enough room for a car lane, a bike lane, and a sidewalk, the sidewalk seems to lose out. 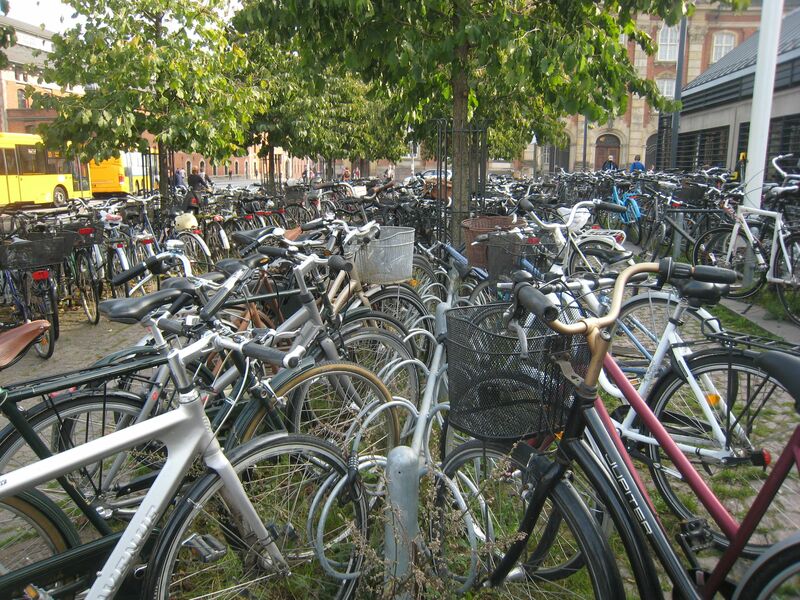 This entry was posted in Denmark and tagged bicycles, Copenhagen. Bookmark the permalink.